I think Pet Battles and HearthStone are distractions. Darn good, but distractions. I’d try and play these games on my iphone or ipad, but can’t take it seriously while actually in World of Warcraft. 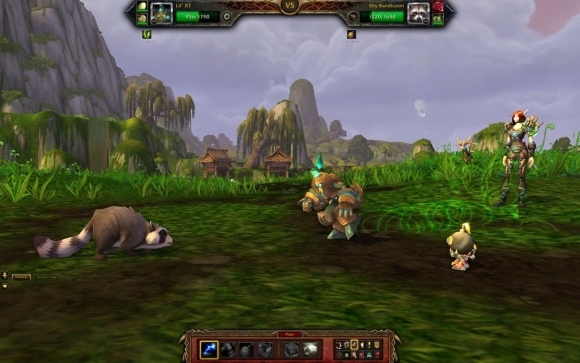 I will certainly try HearthStone when it is live, and perhaps when this expansion is ending I’ll try a pet battle too. I have a fair pool of pets all of whom are level one and never been used. It seems a waste in a way to have some rare stuff but never use them in game. Alas time online actually playing my main is rare enough for me, so spending that time swapping cards or poking pets is not justified. But on a portable device while I wait for a late trains or have a quick lunch? Ohhhh yeah, I’ve got time for that. I know HearthStone is going to be delivered to portable devices, and I’d think that Pet battles could be valuable there too.